A sightseeing boat has collided with a car in downtown Boston. BOSTON — A sightseeing boat has collided with a car in downtown Boston. 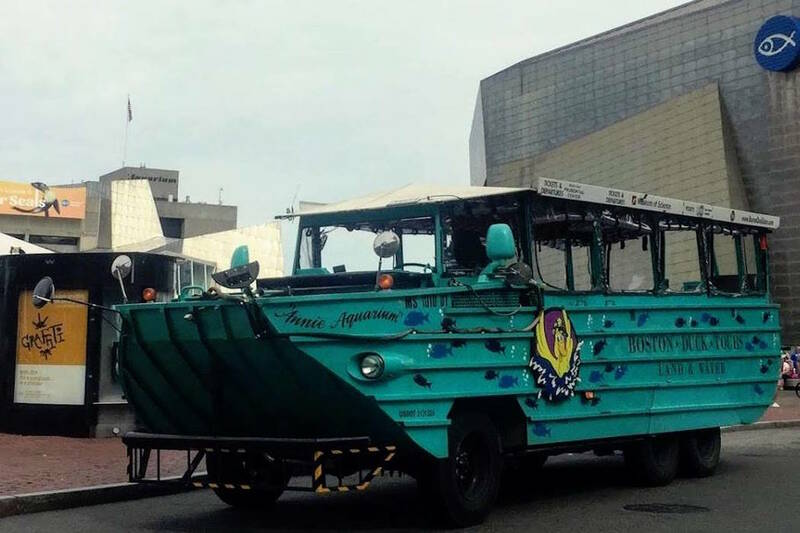 Images show the front of a Boston Duck Tour amphibious vehicle pressed up against the driver’s side door of a white sedan. Officials didn’t immediately say whether anyone was injured. Police have cordoned off the area around the accident. The accident comes amid increased scrutiny of the use of the vehicles to conduct tours in urban areas after 17 people were killed last month after an amphibious tourist boat sank in Missouri. In 2016, 28-year-old Allison Warmuth died when a duck boat ran her over on her motor scooter near the Boston Common.